Mr. Praveen M. Sharma is a Philanthropist who believes in creating an eco system to empower the surroundings for the benefit of the society & nature. His wisdom and relationship has given his group of companies a strong foundation and his effective ground-breaking expertise are being leveraged in policy creation, processes, administration and business development. Mr. Sharma leads the company’s initiative to extend its presence into strategic markets and strengthens its development plan. An expert entrepreneur with over decades of experience Mr. Sharma plays a key role in shaping up the growth model in his various ventures. He has rich experience in Power sector Domain for more than a decade with experience in commissioning more than 1000 MW. He has been acknowledged for his vision and commitment, leveraging the significant learning of sustainable excellence within the non-conventional energy sector. 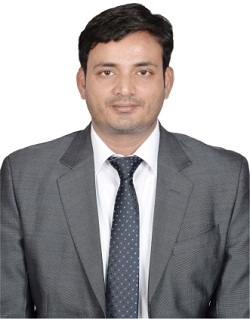 Praveen Madhav Sharma has earlier worked with wind power giants M/s Suzlon and M/s Wind World India before foraying in Power Infrastructure Business.